Producer Salaam Remi reveals the late singer's plans for her third album. 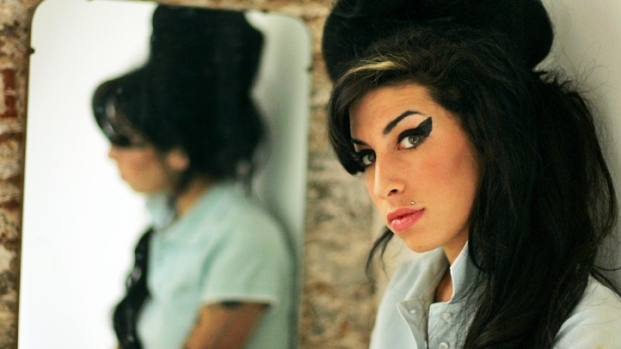 Amy Winehouse planned on forming a "supergroup" for her third album, according to her producer. File under: What could have been. Producer Salaam Remi, who produced both of Amy Winehouse's albums "Frank" and "Back to Black" (as well as tracks for the Fuguees, Nas, and Nelly Furtado), revealed the late singer's plans for her third release during a press event. "She had written down everything she wanted to do," claims Remi, saying she had already written all the tracks and even had song titles picked out. According to Remi, Winehouse planned on forming a type of "supergroup" for the album, which would have included The Roots' drummer Questlove and sax player Soweto Kinch. "She was taking her time with it, and at the end of the day all of her songs are somewhat autobiographical, so she had to live through something, then get out of it and then look back at it to be able to write about it,"says Remi. Remi made these statements while hosting a press listening event for the new Winehouse compilation album "Lioness: Hidden Treasures." Two tracks from the proposed third album, including an appearance by Questlove on a song called "Half Time," are included in the compilation. Winehouse died from accidental alcohol poisoning this past summer. She was 27 years old.